I am most deeply shaken by the message that my son Erwin has been sentenced to death by the People’s Court. The acknowledgement for my achievements in service of our fatherland, which you, my Führer, have expressed towards me in repeated and most honouring way, makes me confident that you will lend your ear to an imploring 87-year old. As the gratitude of the German people for my life’s work, which has become an everlasting intellectual wealth of Germany, I am pleading for my son’s life. 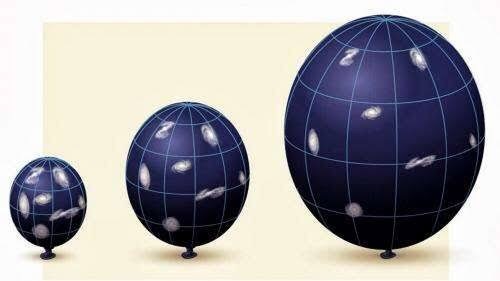 二維宇宙的膨脹。Image courtesy of Eugenio Bianchi, Carlo Rovelli, & Rocky Kolb.